Being a first time mom-to-be is an overwhelming feeling of emotions. If you are anything like me, you feel like there should be all this “stuff” to accomplish from the moment you find out you are housing a little one for 10 months. In reality, YES there is a ton that eventually needs to be done, but it isn’t as crazy as you think it would be, or at least as crazy as I thought it would be. I’m not kidding when I tell you I thought i was going to be baby prepping DAILY \, some times during the pregnancy are busier than others. The first trimester (for me), was basically all the registry and trying to keep myself upright and productive! I did a ton of research on everything I was putting on my registry. i am not a huge “name brand” person, but I do want QUALITY! If we are able to have a second child, I want this baby stuff the last and hold strong, I am not about to start all over again for baby #2. Look for a soon to come blog post on how to go about making a dynamite baby registry! I love to be organized. If you know me personally, you know I am a chaotic mess that loves lists. I think that describes me pretty well :p I can be so organized yet so scatterbrained at the same time, and let me tell you, pregnancy brain is not helping my case one bit! If you look back to my last post, you will see I made a nice litter template for you to write all your baby shower gifts on! I made this and printed it and it is already being put to good use! Today is a different type of list, I went through and did a little research and made a list of what I need to get accomplished, or that I have already accomplished, prepping for baby!! This is not a tried and true method, because, well, I am a work in progress and haven’t actually had a baby yet! However, this is the list I am personally following to prep for Baby Barnes. I don’t really have it in a particular order, except for what trimester I found suitable for the task to go into. You might think differently, that is perfectly fine! Just check it off as you go! If there is any time, it is party time, that you need to be organized! Am I right? Especially at this point in my life, with Bridal and Baby Showers happening; ones that are thrown for ME and ones that I throw for others. Being organized when it comes to gift opening time, well, it’s a MUST! 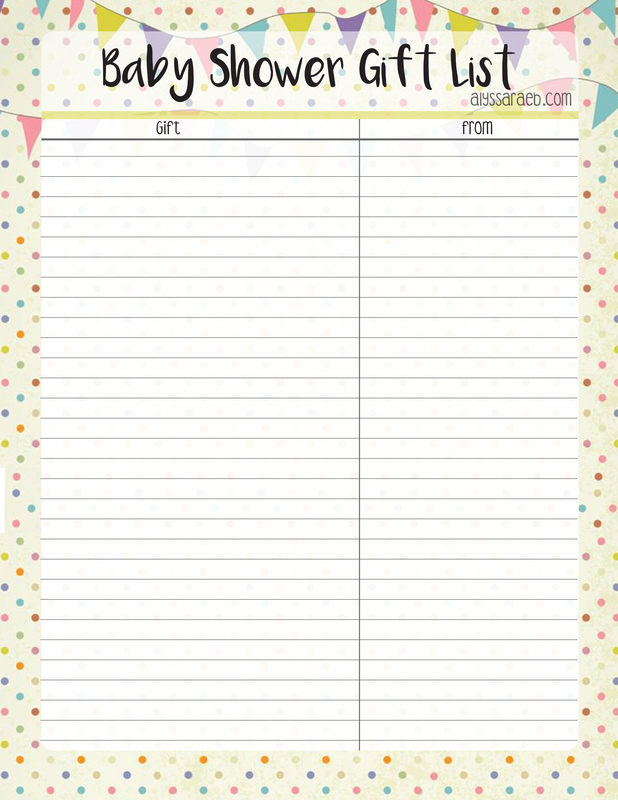 I love designing fun templates for myself and for others to use, to make tasks like this just EASY! I started to receive baby shower gifts already (yes, my mom got a hold of my registry!) and I feel disorganized or like I am going to forget who a gift came from if I don’t write it down ASAP! Today I sat down and designed this, and I am putting it to use right now. I hope that you will get some use out of it as well! You are going to want to SAVE this, SCREEN SHOT it, PRINT it… do whatever you have to do, because this is the BEST. RECIPE. EVER! 1. Preheat oven to 300F degrees. Line one fairly large baking sheet with parchment paper or a silicone baking mat. 2. 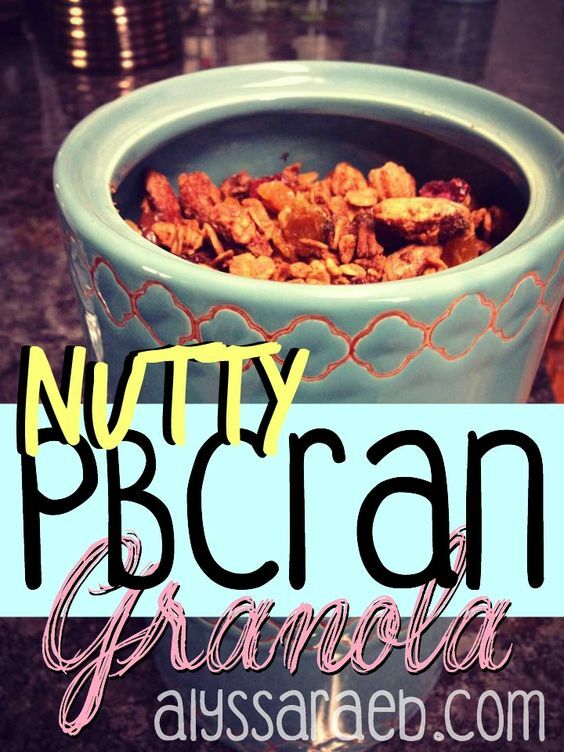 In a large mixing bowl, toss together the oats (3 cups), almonds (3/4 cups), mixed nuts (1/2 cup), and cinnamon (1/2 tsp. ); set aside. 3. In a medium sized, microwave safe bowl, combine maple syrup (1/2 cup), coconut oil (1/4 cup), all Natural PB (1/4 cup), and microwave for about 30-45 seconds. Or until everything is melted together. Remove from the microwave and using a fork or rubber spatula, stir until everything is mixed together well. Put aside and let it cool. 4. Once your mixture is slightly cooled, whisk in your egg white and vanilla. Pour this over the oats and nuts; toss and coat completely. Keep tossing until all the oats and nuts have an even coat of the liquid mixture on them. 5. Spread onto your baking sheet; bake for 45 minutes, stirring it 3-4 times. Once time is up, remove from oven and let sit out to cool completely. (I like to add the dried cranberries and raisins at this point so it can set with the rest of the granola as it cools) Letting it cool will help the granola get a crunchy texture, before sealing it. Once completely cooled you can add the optional chocolate chips! 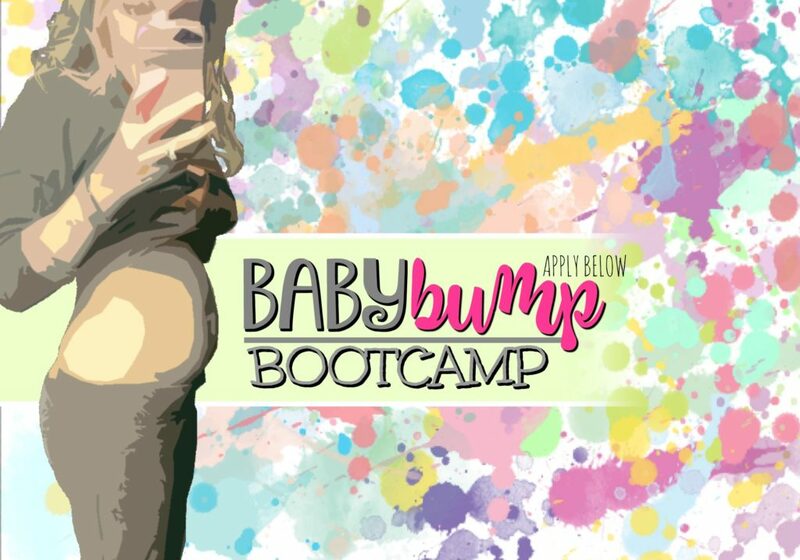 Apply for my next Baby Bump Bootcamp starting June 27th! We will be doing workouts that are appropriate for each trimester, talking about our bumps, sharing awesome information, sharing craving-cutting recipes, and most of all, have that support from other moms, mommies-to-be, and everything in-between! I am 18 weeks today!! How far along are you? ?